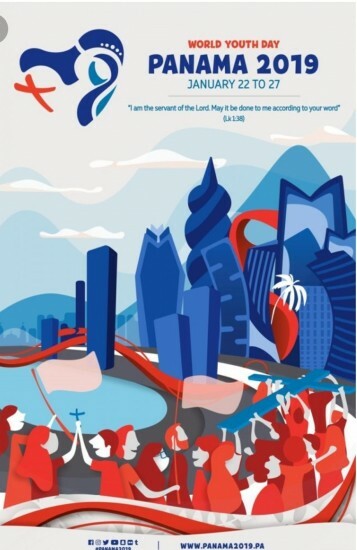 At the invitation of Pope Francis, over excess of one million young people from around the World have gathered in Panama to celebrate World Youth Day (WYD). WYD began in Rome in 1986 at the request of St John Paul 2. His desire was to invite young people from around the World to come together and spend time in prayer with the Pope. What began as a one day event has now become a four day festival of faith and culture. The largest gathering was in Manilla (1995) with an estimated 5 million people attending the closing Mass. The next World Youth Day will be held in Portugal in 2022.